The morning of a home game on campus is a buzz with activity—everyone is moving with a purpose to set-up and get ready for thousands of visitors to our campus to cheer on the Jackets. One important group in the thick of the preparations is Georgia Tech Game Day Recycling, a part of the Office of Solid Waste Management & Recycling (OSWMR). 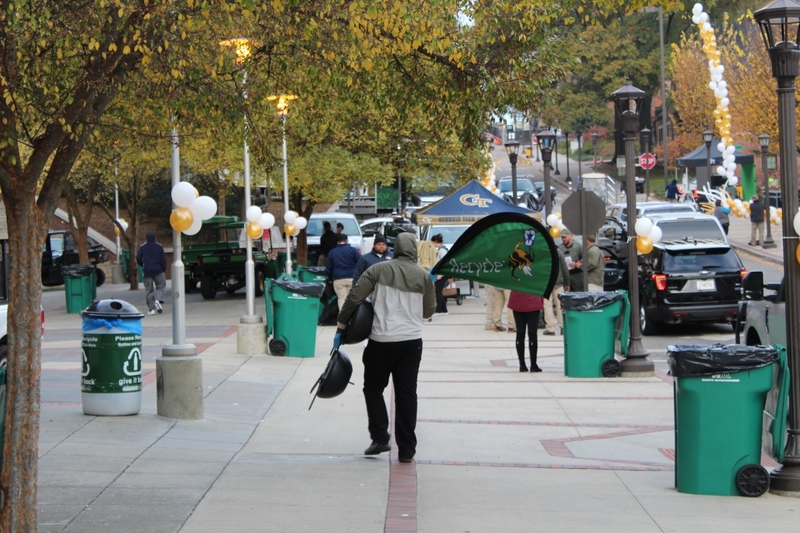 For the past 10 years GT’s Game Day Recycling has diverted over 220 tons of materials from the landfill! This feat has been achieved through the work of a dedicated team of staff and volunteers. On November 25 our office accompanied the Game Day Recycling Team to get a first-hand view of the work that it takes to run the Game Day Recycling program. In advance of game day we interviewed Tom Martin, Foreman in OSWMR. Tom walked us through the process of operating Game Day Recycling and how he and the team engage with the fans. He shared that the success of Game Day Recycling can be attributed to awareness and persistence. Game Day recycling often begins the day before the game (typically a Friday) with the OSWMR team preparing the bins. Tom shared that this year OSWMR purchased flags highlighting recycling and new bins. The day of the game begins early, as part of the team first goes to collect the first wave of cardboard recycling from the stadium. The rest of the team subsequently goes to load the recycling bins from a warehouse to deliver the bins throughout campus at key locations. Following the delivery of bins, the team will meet with any volunteers and then split into pairs to canvas the campus and hand out bags for tailgaters. 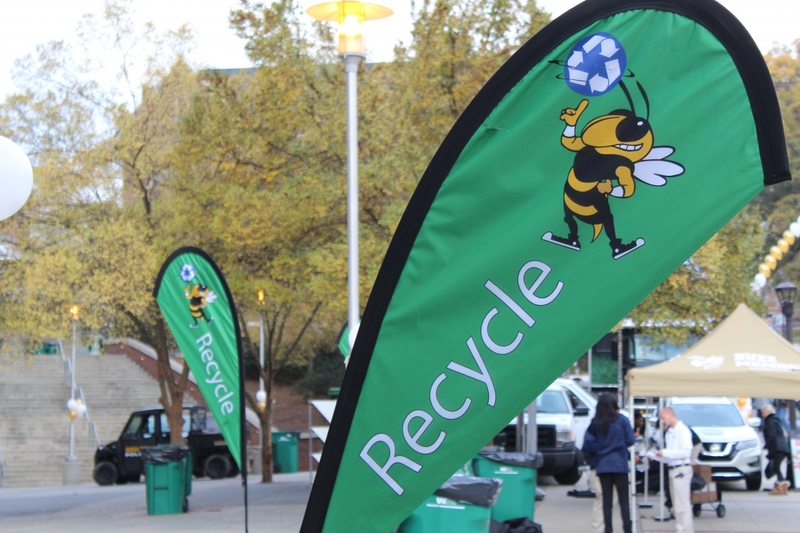 Individuals can use the bags to recycle bottle, cans, and plastic cups from their tailgating sites. The bags are bright blue, have printed on them what can be recycled, and stand out from other waste bags. 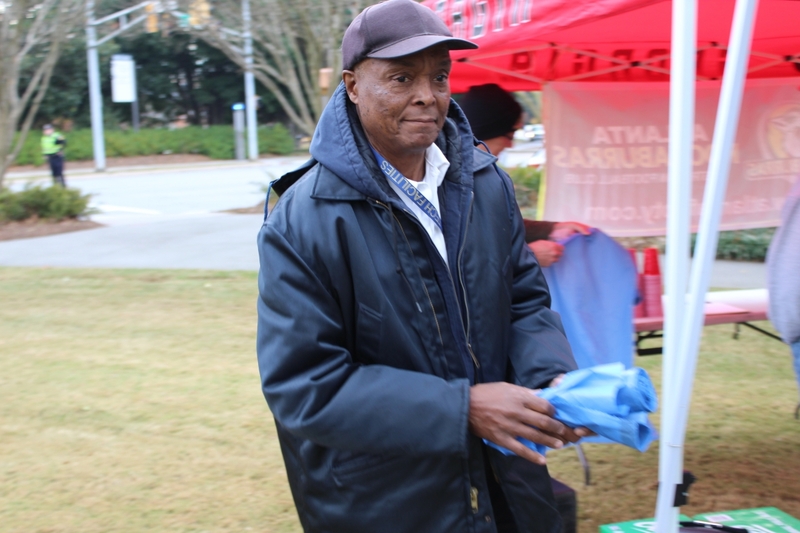 Fans notice and appreciate the Game Day recycling team, and the team has established friendships with regular tailgaters. On Sunday morning the OSWMR team returns to scour campus for any and all blue bags to recycle the contents, and collects another load of cardboard from the stadium to recycle. Tom mentioned that the goals of the team include making recycling as convenient as possible for the fans, and for the team to capture as much of the recyclable items as possible. 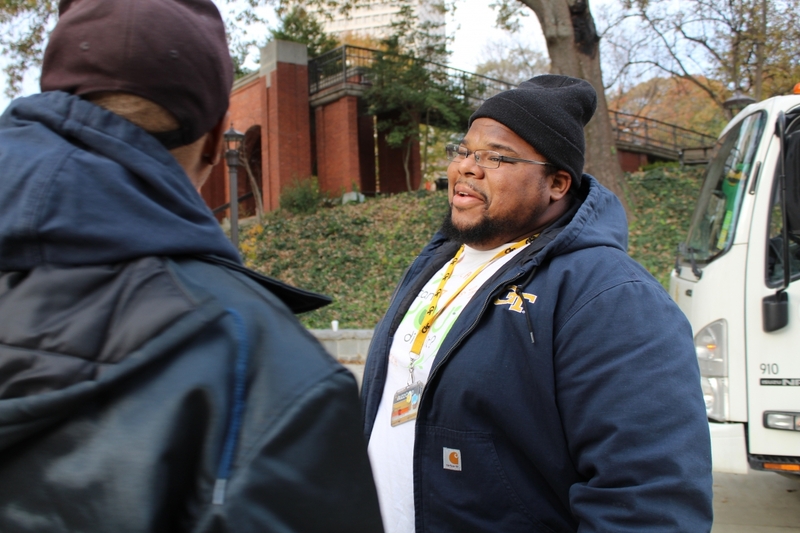 The saturation of bins around the campus, and the intentional canvassing and interactions with the tailgaters contributes wildly to the success of this program. 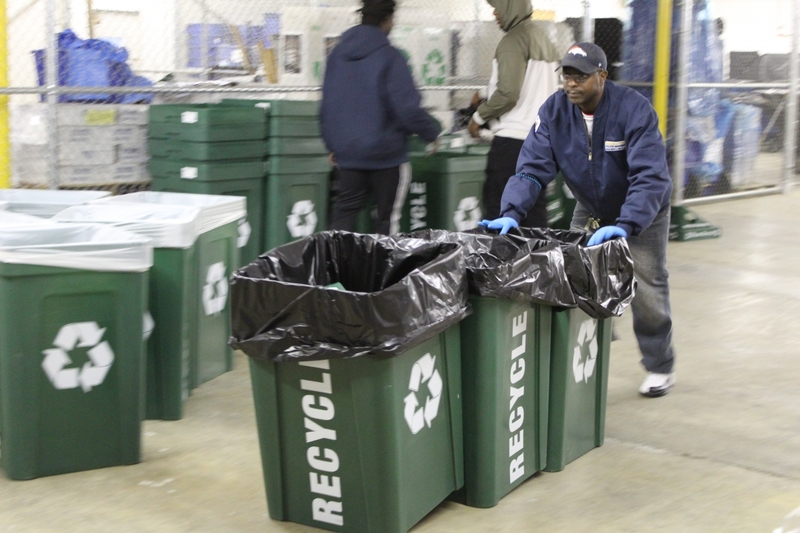 Tom and the team’s ultimate goal is to have 100% of the recycling captured. Each game is a new opportunity to collect as much recycling as possible. The OSWMR team has won national awards for this program, and are looking forward to how the program can continue to grow!